The best way to learn about wine is to taste it. Plan your trips to wineries and vineyards now. Fall is my favorite season — and I'll say that until we come into winter and its frosty beauty. Actually there isn't a season I don't enjoy in Oregon. We are darn lucky to have four distinct seasons, with miracles occurring in each. But fall is special, because it's harvest time in the vineyards, fields and orchards. Bringing in the bounty is hard work, regardless of the crop. It requires cooperation and coordination and countless hours of effort until every last field is cleared. It's a celebratory season too, especially in the vineyard. There is much anticipation of the luscious wines which will be created from the harvest. I had an experience last month that was a perfect entrée to fall. 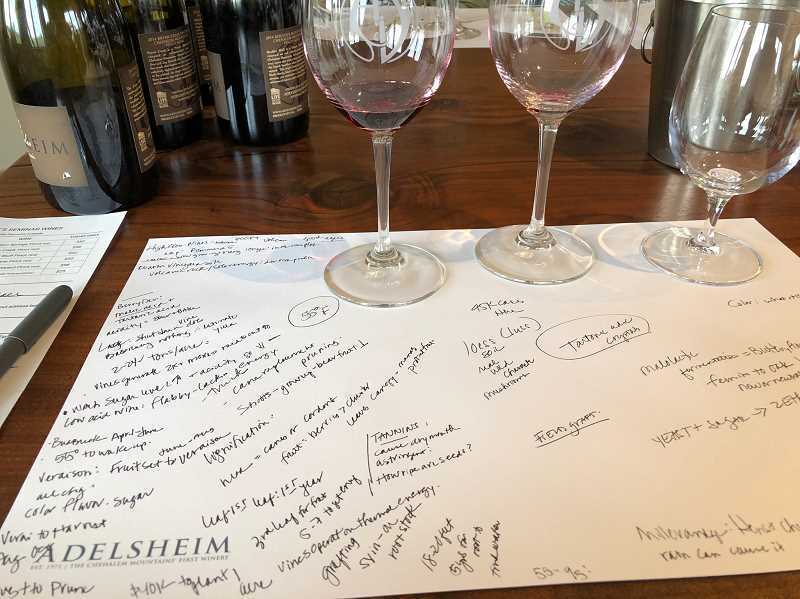 I attended one of Adelsheim Vineyard's education programs presented by Sam Schmitt, Adelsheim's vice president of education. Sam is a Certified Sommelier (CS) and Certified Wine Educator (CWE), and the day I visited he was presenting on how grapes are grown and wine is made. "Many people find wine to be somewhat intimidating, but it doesn't have to be," he said. "After all, it's just a beverage. My goal is to not only make learning about and enjoying wine fun, but also to make exploring new wines a lifelong adventure." His philosophy is right up my alley. He shared that winemaking is among the oldest crafts, dating back thousands of years, and has been credited as a major factor behind the rise and expansion of human civilization worldwide. Despite advanced technology, he said, wine makers of ancient times would probably feel right at home in the wineries of today. He walked the class through the growing season in the vineyard, from bud break to fruit set to veraison to harvest. Then he discussed how red and white winemaking differs. He presented the information in a manner that was thorough but also approachable for beginners and more-knowledgable wine enthusiasts. We all left the class feeling much more informed about vineyards and the wine-making process. Classes are free for Adelsheim wine club members and just $25 for non-members, which is refunded with wine purchase. Sign up online at Adelsheim.com. Adelsheim Vineyards is located at 16800 NE Calkins Lane in Newberg. Call 503-538-3652 for more information. Just got word that Domaine Serene is bringing harvest to the city at its Wine Lounge at the Sentinel Hotel in Portland. Each Saturday in October, from noon-3 p.m., it will host wine festivities, unique food and wine combinations and live music. On Oct. 13, the spotlight will be on the 2015 Winery Hill Vineyard Pinot Noir, paired with pumpkin ravioli. Oct. 27 is dedicated to the 2015 Aspect Pinot Noir release and an Art of the Blend wine tasting where you can explore the Aspect blend that showcases each single vineyard component in the iconic release. Domaine Serene will be serving prune-and-red-wine-braised brisket prepared by Imperial Executive Chef Matthew Jarrell. The Domaine Serene Wine Lounge at the Sentinel is located at 1038 S.W. Alder St. in Portland. 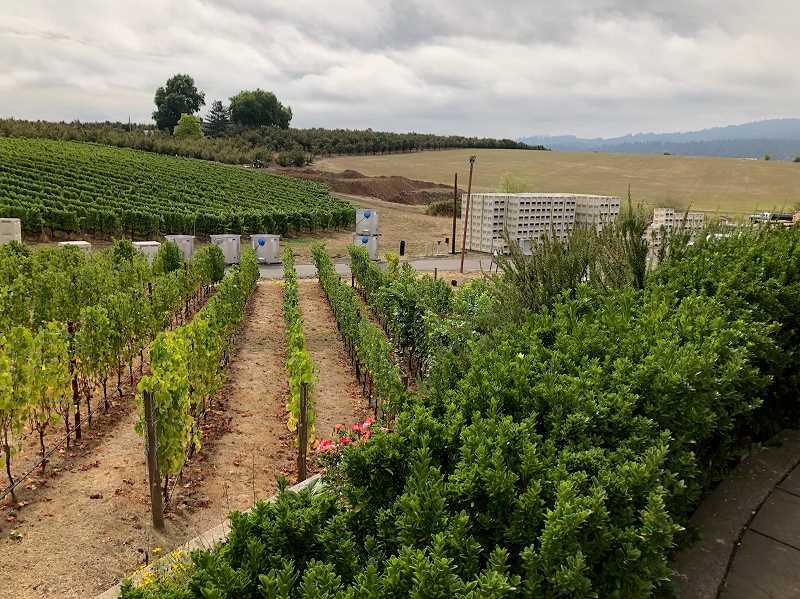 Dobbes Family Estate has announced that Senior Cellar Technician Miguel Azua has selected Make-A-Wish Foundation Oregon as this quarter's charitable giving recipient. Through December, when you purchase Dobbes 2015 Eola Amity Cuvee Pinot Noir, 10 percent of the price will be donated to Make-A-Wish. Miguel selected this particular charity because, as a father, he says he understands what it feels like to want to give your children every opportunity in the world. "Help me and the Dobbes team grant wishes of every child diagnosed with a critical illness," he says. "In the United States on average, a wish is granted every 34 minutes. Sip our 2015 Eola Amity Cuvee Pinot Noir and support a child's dream." My friends at Knudsen Vineyards have released their 2016 Pinot Noirs, which is a milestone for the family. This marks their fifth estate bottling of the variety and their 43rd harvest in the Willamette Valley. 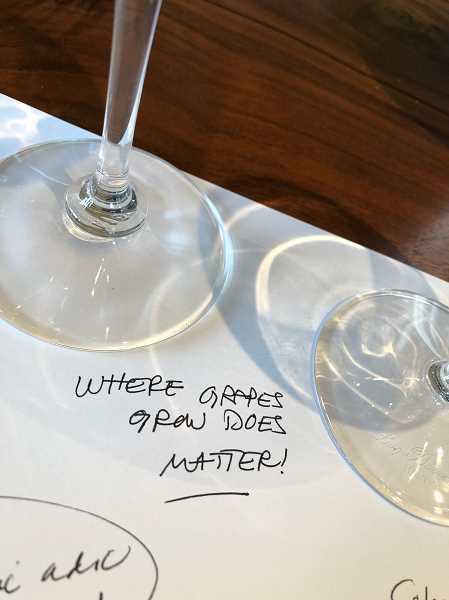 The vintage notes on the wines read: "The 2016 growing season was one of the earliest on record and the third of three consecutive warm growing seasons, pushing the envelope for defining the new normal in Oregon. Bud break was two to four weeks earlier than usual and a brief heat spell compared to other 2014 and 2015 vintages, which led to smaller berry size and a higher concentration of flavors, with consistent warmth in August shepherded along an early harvest commencing in late August and concluding in mid-September. The 2016 vintage produced ripe and rich fruit with supple tannins, typically strong natural acidity and a great flavor intensity. 2016 was an exceptional vintage in Oregon." Knudsen 2016 Pinot Noir ($55) and the 2016 Reserve Pinot Noir ($70) are available for purchase now online at knudsenvineyards.com. Free Public wines are sold in box sets of three 250 ml cans for a suggested $14.99, although retailers may elect to offer them individually. You can learn more online and order at frepublicwines.com. One last tip for all wine enthusiasts: Order "Wine Folly: Magnum Edition: The Master Edition" for yourself and those on your gift list who want to know more about wine. This is the best reference guide to wine I've used. It contains actionable techniques on how to taste and develop your palate, tools and exercises to fundamentally grasp the concepts to pairing food and wine, plus a reference guide including 100 wine profiles, 35 regional wine maps, 246 regional wine profiles, wine terms and classifications and much more. I ordered my copies at Amazon.com for under $25. The best way to learn about wines is to experience them. You don't have to wait until the Thanksgiving weekend to explore Oregon's wine country. If you need help organizing a tour, visit oregonwineboard.org or email me — I'll get you started. No room for a recipe today but with our lovely fall weather, the sweet potatoes and acorn squash are beckoning. The final farmers market at Millennium Plaza Park will take place this weekend from 8:30 a.m.-1:30 p.m. Go and get inspired.